While Fiber is nice, the majority of consumers still receive their signals through cable modems. As broadband speeds increase, old tech becomes outdated, but a new modem can quickly turn your world around. When it’s time to upgrade, gamers will want to look for the best modem/router combo, and we’re here to help you choose the right one. If you’re shopping for a new modem that’s coupled with a router, you probably fall into one of two categories. You’re either looking to relieve yourself of those monthly fees from your ISP or save space by combining two gadgets into one. No matter the reason, the first box you need to check off your list is compatibility. When a manufacturer mentions downstream speed, it directly correlates to your subscription with your ISP. If you are on a Gigabyte plan and actually get the speeds promised, you’ll need a router and modem combo capable of handling a gig. You don’t have to match the speeds exactly, and sometimes it can be better to go big. As mentioned, technology increases at a rapid pace. Internet providers frequently expand their service and offer up deep discounts on bundles. If you’re on a 500Mbps plan and pick a modem to match, you’ll be out of luck if you decide to upgrade your speeds down the line. By choosing a faster combo from the start, you may save yourself from a major headache. Channel bonding is important unless you like congestion and it’s a specification that tells you how those speeds are split up within the modem. Data enters the modem in a stream, and modern ISDN devices generally split that stream into two channels at 64Kbps each. The current standard is DOCSIS 3.0 which is supported by the majority of modem/router combos and provides you with four channels at a minimum. The most common setup is a 16×4 configuration which opens up things considerably. It means there are 16 channels for the downstream and 4 reserved for the upstream. Most folks use their PCs for more than gaming, so you’ll want to consider the configuration carefully. Some users may require higher upload speeds while others may do just fine with the standard configuration. Picking up a modem that can download a season of your favorite show in minutes is nice, and no gamer is going to complain about top-tier speeds. If you live in a large home or game in the basement with the modem upstairs, all that speed is for nothing when the signal can’t get out. A closed door can kill a signal in some homes. Room size isn’t that significant, but the overall size of your home is along with the distance between the modem and any connected devices. Unless you plan on using the Ethernet ports full-time, you need to consider signal strength along with speed. Some of the best DSL modem/router combos will have multiple antennae as well something – you’ll want to shoot for if you have a larger home. When it comes to extras, many modems share a similar set of features. Guest networks are a common occurrence along with built-in firewalls. Some combos will even have security software pre-installed while others give parents a measure of control. Dual-band Wi-Fi is no longer a rarity although the type provided makes a major difference. All will have 2.4GHz and a 5GHz bands, but the 802.11 standards are what you’ll want to familiarize yourself with. There is the 802.11a standard, 801.11aj, and a half-dozen more with new ones rolling out seemingly every few years. While we’re not experts on the wireless fronts, this breaks things down quite nicely. The TP-Link Archer is a slim device that won’t take up much space and is easy on the eyes. It’s a modem built for high-speeds and is an easy choice if you’re looking for the best modem/router combo for gaming. TP-Link knows the wireless router game well, and the company left no stone unturned for the Archer CR1900. It has a 1GHz dual-core chip to handle the dual-band Wi-Fi and another dedicated processor just for the traffic. The overall speed is top of the line at 1Gbps while the AC1900 Wi-Fi ensures your wireless devices keep a steady connection. If you have a larger home or require a stable connection that can handle plenty of speed, you’ll want to consider the TP-Link Archer CR1900 seriously. It’s an ideal choice for consumers with providers that offer high-speeds like Xfinity and comes with a 2-year warranty complete with 24/7 tech support. Netgear is a brand plenty of gamers will be familiar with, and they are responsible for some of the best cable modem router combo packages around. The C6250-1AZNAS is one of their newer models and a top option due to its overall performance and the wide variety of configurations. The AC1600 model of this router is built for gamers looking for something affordable, but reliable. It’s not the fastest box around with a top speed of 680Mbps although it has the 16×4 channel bonding configuration. It’s a dual-band box as well, so you can expect 2.4GHz and GHz Wi-Fi speeds on your smartphone, slate and other connected gadgets. Prefer to game wired? That’s not a problem as this model has not one, but two Ethernet ports at 10/100/1000 with auto-sensing tech. While we still recommend using your own security, this one does come with DoS protection build in to go along with WPA/WPA2 and SPI/NAT firewalls. This is an excellent all-around modem/router combo and one we feel gamers will appreciate. It won’t give you the flexibility of a two-pronged approach, but several variants provide a bit more bang for your buck like the AC3200 Nighthawk. All models are certified for use with Cox, Xfinity, Spectrum, and more. If you’ve rented equipment from your cable company in the past decade or so, there’s a good chance Motorola has made an appearance in your household. The company also produces modem/router combos directly for consumers, and the MG7550 is one of the better alternatives in the AC1900 range. This wireless gateway is set to the 16×4 channel configuration and supports speeds up to 686Mbps with downloads. The upstream speed is 123Mpbs which is par the course. What’s different are four Gigabyte Ethernet ports and its outstanding Wi-Fi capabilities. As long as you don’t live in a mansion, you should have no problem getting a signal throughout your home. Flagship features for the Motorola MG7550 include dual-band AC1900 Wi-Fi, DoS protection, and a power boost function which extends the range. It’s one of the slimmer combos as well, and easy to use with color-coded options that are clearly labeled on the back. This model is available in Black or White and comes with a 2-year warranty out of the box. Our second choice from Netgear is considerably quicker than the first and hails from their Nighthawk lineup. With speeds up to 960Mpbs, the C7000 combo modem won’t let you down during long gaming sessions, and it’s one of the more stylish options to boot. Netgear Nighthawk can support higher speeds thanks to 24×8 channel bonding and has a 1900Mbps router with 802.11ac as well. We also like the fact it has a dedicated 1.6GHz processor under the hood – something you won’t find on many other models. This modem will work with all the popular providers and can easily be considered a great choice for Cox, Xfinity, Spectrum, and others. It’s simple to setup, and provided you have large enough package, it will give more than enough speed. There are a few variants of the Nighthawk as well including one that works with voice bundles. 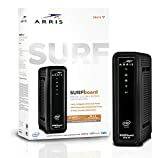 The ARRIS SURFboard is an impressive piece of equipment, making for a state of the art Cable Modem & Wi-Fi Router combo, which is built and designed to deliver the ultimate web surfing experience. Considering the company’s 60+ years legacy, and also the fact that we’re talking about the guys who basically invented digital TV and brought Wi-Fi internet into people’s homes courtesy of their first cable modem gateway, if you go for the Arris Surfboard you’ll benefit from incredible speed, faster downloading and streaming, increased network capability and also more safety online, as this bad boy comes with free of charge McAfee Secure Home Internet suite. When you decide to buck the system and pick up your own modem, you’re going to save quite a bit of money. It can still be difficult to drop a few hundred up front however which is where devices like the Netgear N600 come in handy. The N600 will pay for itself rather quickly, and while it’s a DOCSIS 3.0 cable modem combo, it’s not as nimble as our top choices. It’s certified for up to 340Mbps with dual-band N450 Wi-Fi on the usual two channels. The modem is in the 8×4 configuration with several solid features like guest network access, WPA/WPA2, DLNA sharing and a handy WPS button. Netgear put out a respectable combo with the N600, and while it is a little basic, it’s going to get the job done. 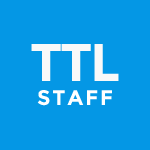 It works with all the major providers like Cablevision and TWC but is exceptionally easy to use if you’re a Comcast customer. The Motorola MT7711 makes for a 24×8 DOCSIS 3.0 Cable Modem, with an AC1900 Dual-Band WiFi Gigabit Router as the cherry on top, plus 2 phone ports. It’s worth mentioning that the Motorola MT7711 modem is built to work with Comcast only, while the phone-ports support XFINITY Voice telephone service. Basically, you’ll get three devices for the price of one, i.e. this is the art of the deal, if it ever was one. On top of that, the Motorola MT7711 boasts a Broadcom cable modem chipset, which is supposed to render DDOS attacks obsolete. Next in line we have the ARRIS Surfboard (16×4), which is an affordable DOCSIS 3.0 Cable Modem Plus/AC1600 Dual Band Wi-Fi Router. This hybrid boasts 686 Mbps Max Speed and it’s certified to work flawlessly with the most important ISP providers in the US, including Comcast Xfinity, Spectrum and Cox. As usual when it comes to combos, you’ll basically get 3 products for the price of one: a classic 16×4 Cable Modem with an AC1600 Dual-band Wi-Fi Router built on top, plus a very fast 2 Port Gigabit Router. I am starting with Comcast with their Gigabit package triple play. I am looking to use a router/ modem and have someone install a switch to allow me to get all my tvs ethernet ports, as well as, each of my google wifi points hard wired in for best possible performance. All combos on our list use DOCSIS 3.0. In terms of combos there isn’t much choice when it comes to 3.1. 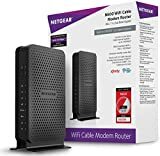 NETGEAR Nighthawk X4S https://www.amazon.com/NETGEAR-Nighthawk-Ultra-High-Compatible-Gig-speed/dp/B01I8KA48G/ offers DOCSIS 3.1 so you may want to check it out. We’re not sure it supports triple play. Phone jacks are rare even in DOCSIS 3.0 modems (not even combos). It’s better to consult with the manufacturer regarding this. I concur that TP-Link 1900 is THE BEST cable modem WiFi Router available today for home use. I tried the other brands, even tried several mesh devices costing over $300 and NONE of them compare to the WiFi signal strength I am getting from the TP-Link. In fairness, being in a 2 story 2100sf home with the modem/router upstairs receiving 120Mbps signal from Cox Cable to feed 49 WiFi devices on the 2 floors plus 4 in back yard, I did have to add a TP-Link RE450 WiFi extender downstairs and am also using 2 TP-Link RE200 extenders on the back of 2 downstairs big screen TVs. Using the Ethernet connections from the RE200 extenders, my TVs are receiving up to 47Mbps when tested using the Speedtest app. BOTTOM LINE: Not one of the other devices and combination of devices worked as well so I plan to stick with TP-Link 1900 until and unless I find something better at the 2020 CES Show.